General Manager of Toplane Zenica Company Nikhil Mehta and Regional Director of the European Bank for Reconstruction and Development EBRD for the Western Balkans Zsuzsanna Hargitai signed a loan contract on Friday in ArcelorMittal Zenica’s headquarters for the realization of the project for the construction of Toplane Zenica, Biznis Info reports. Toplane Zenica is a public-private partnership project of the City of Zenica, ArcelorMittal Zenica, KPA Unicon and FinnFund from Finland. The equity ratio is 50% in favor of ArcelorMittal, 20% in favor of the City of Zenica and 15% for the Finnish partners KPA Unicon and FinnFund. The total value of the construction project for the new heating plant is approximately 53 million euros, and 46 million euros loan funds are provided by the EBRD and are secured by a guarantee fully provided by the ArcelorMittal Group. In October 2018, the City of Zenica paid a part of the founding capital in the amount of 2.346.996 BAM from its own budget, without additional debts. In addition to reliable heating, which will solve the problem of citizens of Zenica that they face for more than two decades, this energy and environmental protection project is certified as one of the best, which all the participants of the ceremony proudly presented. The start of the operation of new boilers is expected in mid-2020, according to the City Administration of Zenica. 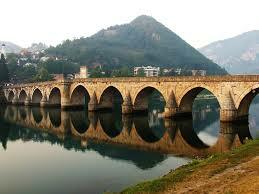 Zenica forms the fourth largest city in Bosnia and Herzegovina and has a population of more than 160,000. The new combined heat and power (CHP) plant Toplana Zenica, is expected to supply power to Zenica along with its largest employer, the ArcelorMittal steel plant. ArcelorMittal Zenica, the City of Zenica, KPA Unicon (Finland) and Finnfund (Finland) have formed a joint venture through which the project is to be implemented and the project is expected to result in major environmental improvements along with more cost efficient production of energy. The project is financed with a €46m loan package, where EBRD is providing €28m loan from its own account and a €18m loan provided by Banca Intesa Sanpaolo. The EBRD said that it has arranged its portion with €23m from the Bank and €5m of concessional financing from the International Cooperation and Development Fund (TaiwanICDF). The steelworks’ CHP plant used to be the sole external provider of heating in the winter which relies on coal for nearly half its fuel input and is a prime source of SO2 pollution in the city, and the outdated equipment suffers frequent disruptions. The plant’s existing coal boilers will be replaced by modern EU-compliant gas-fired boilers and an old steam-driven blower with a modern high-efficiency electric blower, resulting in a cost-effective and efficient use of resources.